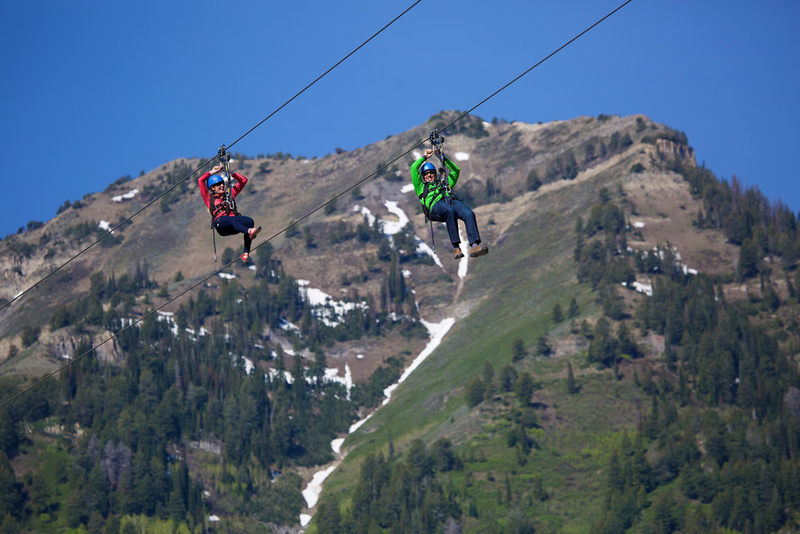 844-ZIP-TOUR or visit their website sundanceresort.com. Total tour length – 2 miles! 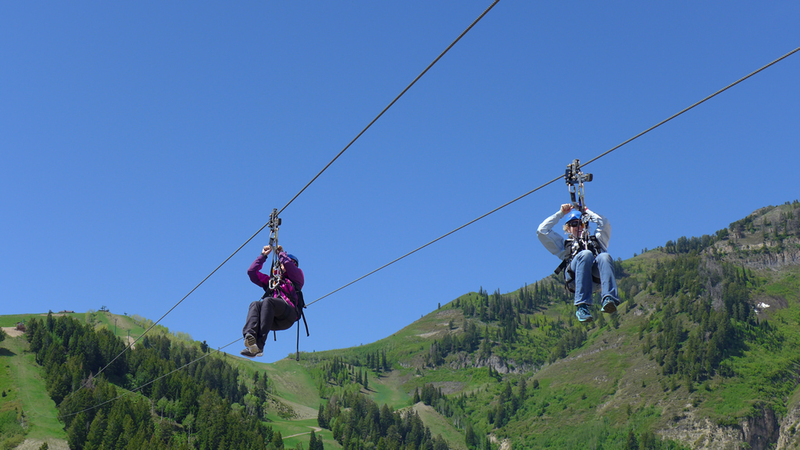 The ZipTour at Sundance Resort is one of the most incredible mountain experiences I have had. 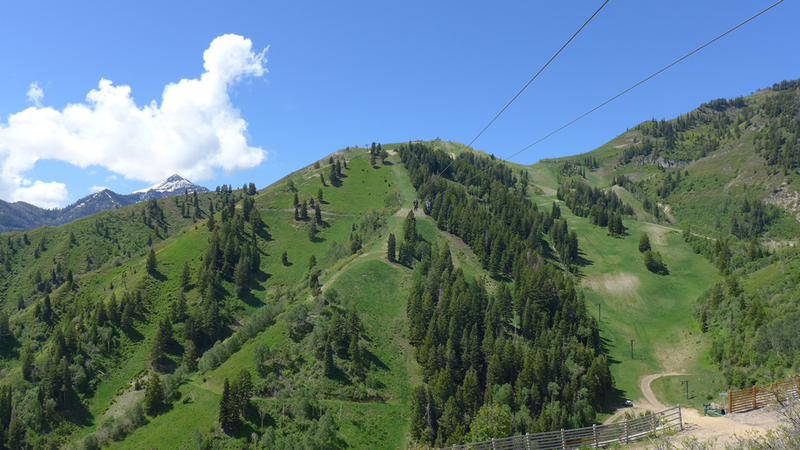 Just arriving at the parking lot of Sundance is amazing. The mountains stretch to the sky and the water truly runs through it. 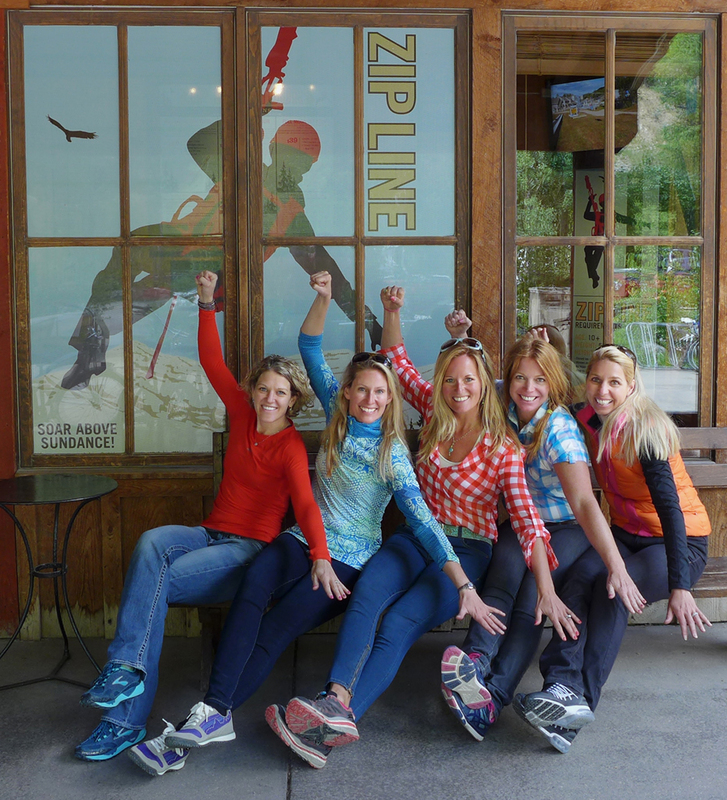 We checked in for the ZipTour at the retail shop at the base area. 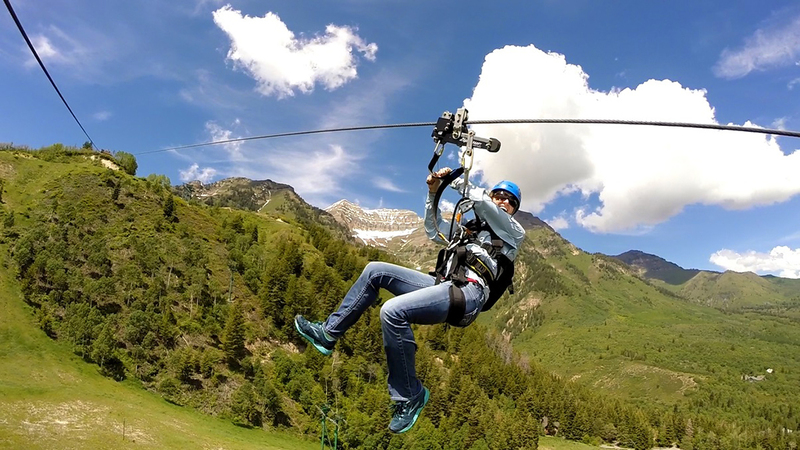 We signed our waivers, watched an instructional video, and then were greeted by our guides to be fitted into our equipment. 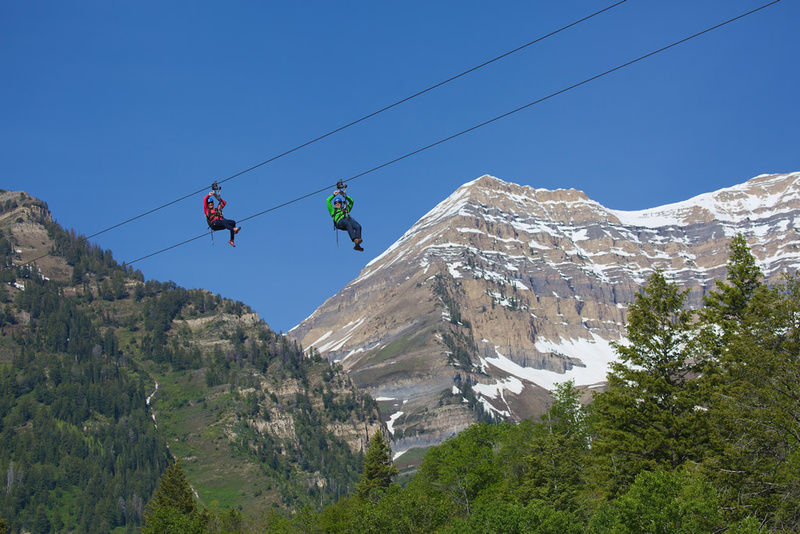 After our guides gave us our orientation greeting and instructions, we journeyed up the mountain on the Ray’s chairlift to begin our tour. Ascending up the mountain on the chair the vistas opened and expanded around us. 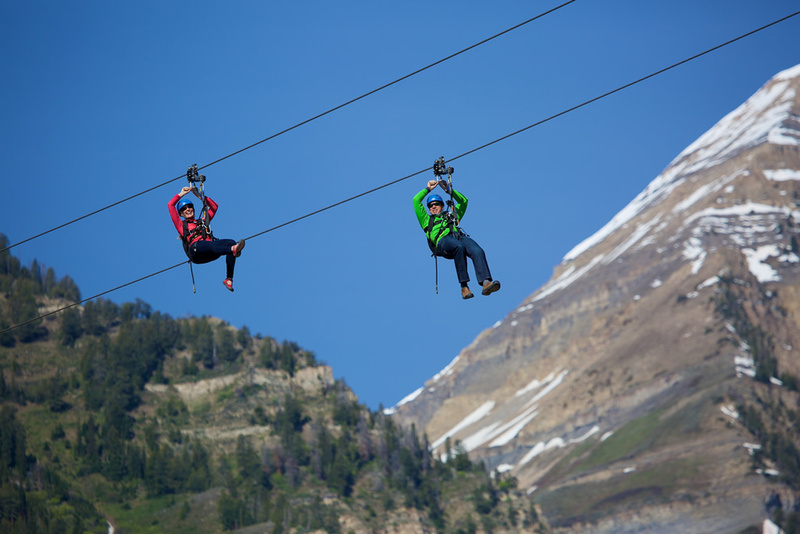 Our tour began on the Demo Zip, a very short zip line that allowed us to get comfortable with the equipment in a non-threatening setting. We learned how to operate our trolleys by pulling down on the handle to go, and pushing up on the handle to slow down and stop. 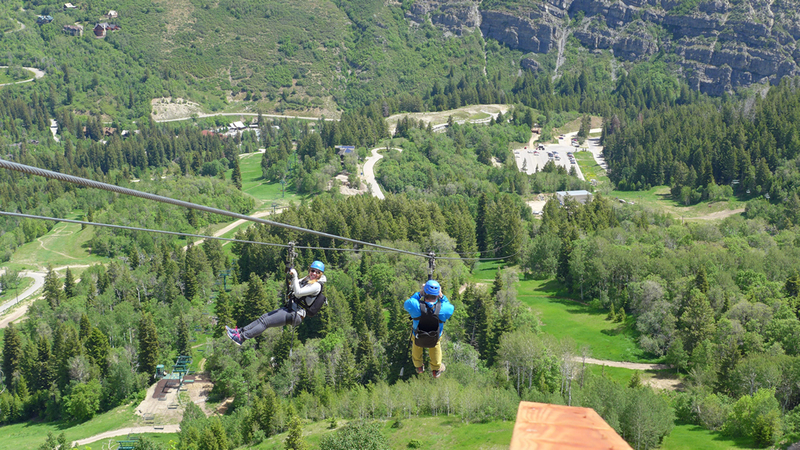 We then walked down to the first zip line of the ZipTour. 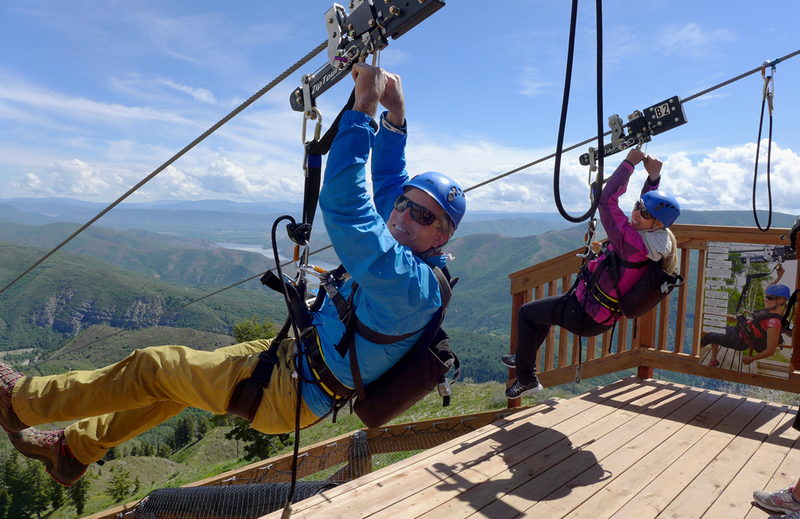 The Ray’s zip line. 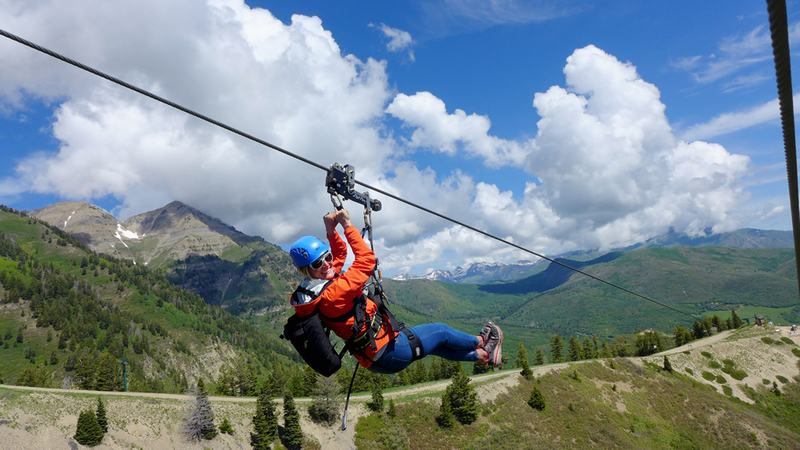 This zip line is just under 1,000 ft. long, and also serves as an additional training line to practice controlling our speed before venturing to the big spans of the tour. 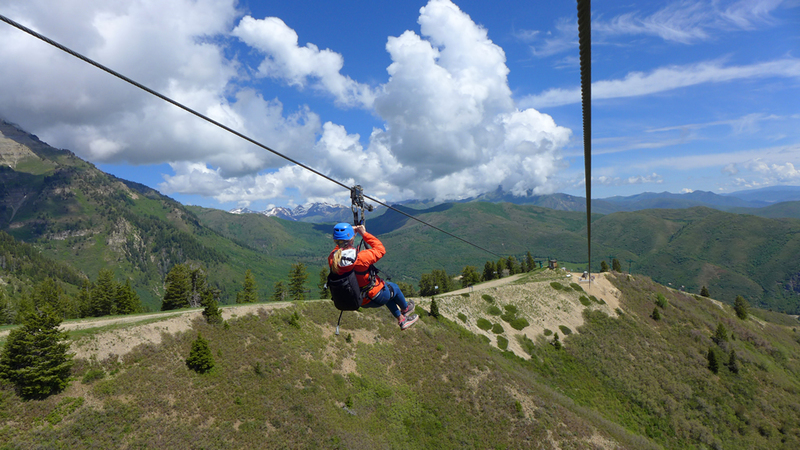 After our group completed the Ray’s zip line, we continued to the top of the resort via the Arrowhead chair lift. The panoramic views from the summit are breathtaking! Now it was time for the big show. From the top of the Bishop’s span, you can actually see the Flathead and Outlaw spans far below in the distance. 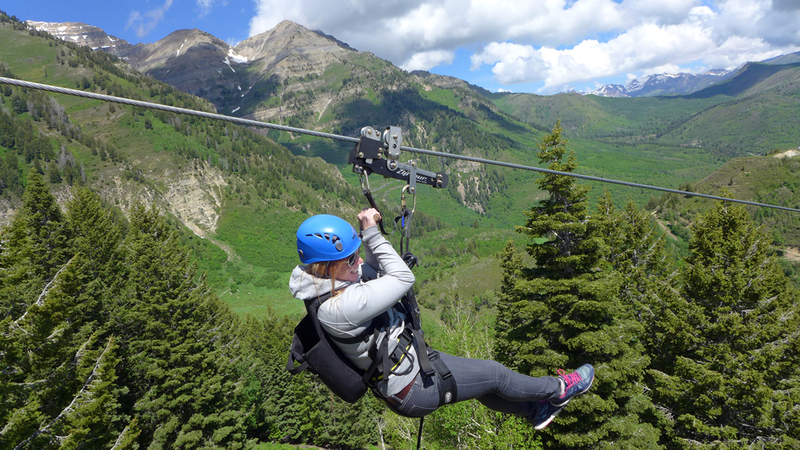 I was amazed that we were about to descend the entire mountain in just three zip line spans. 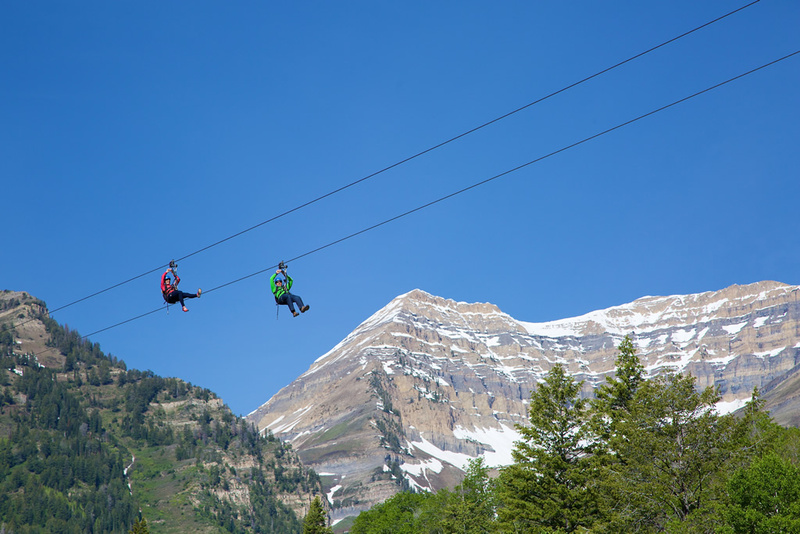 As my friend and I began our rides down the ½ mile long Bishop’s zip line span, I was filled with excitement and awe. We were flying over Bishop’s Bowl! 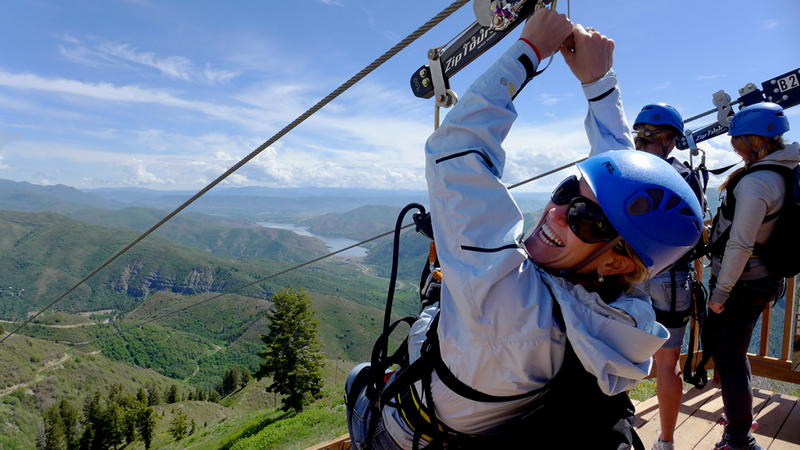 The speeds were incredible, the views were expansive, and our laughter was loud. 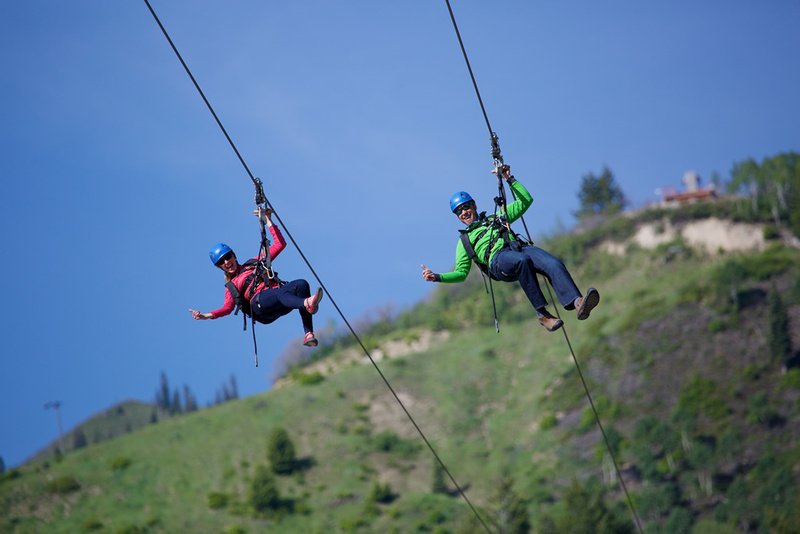 Our group continued to the Flathead zip line, which is also about a ½ mile in length, but is 450 feet above the ground at its highest point! How can the views be even better? I slowed my trolley down to let my friend pass, then I sped up to pass her, then she passed me. 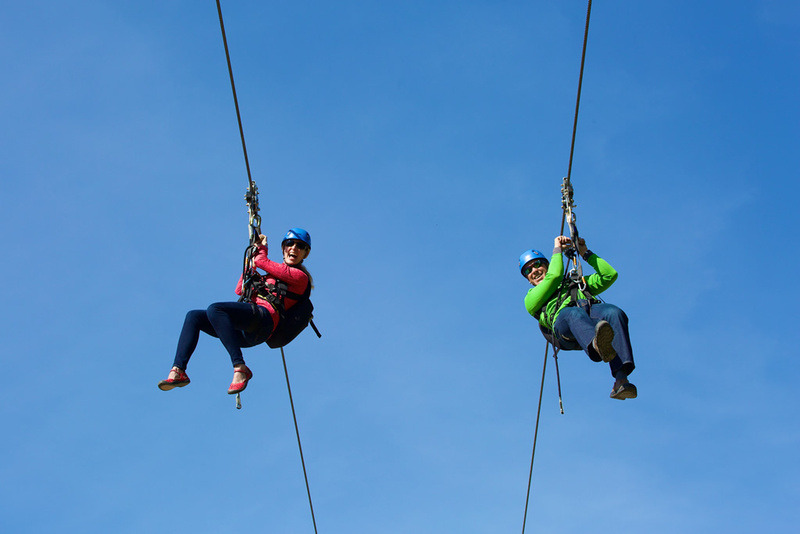 It was such a playful experience, something you simply cannot do on any other typical zip line, and we were laughing the whole way! 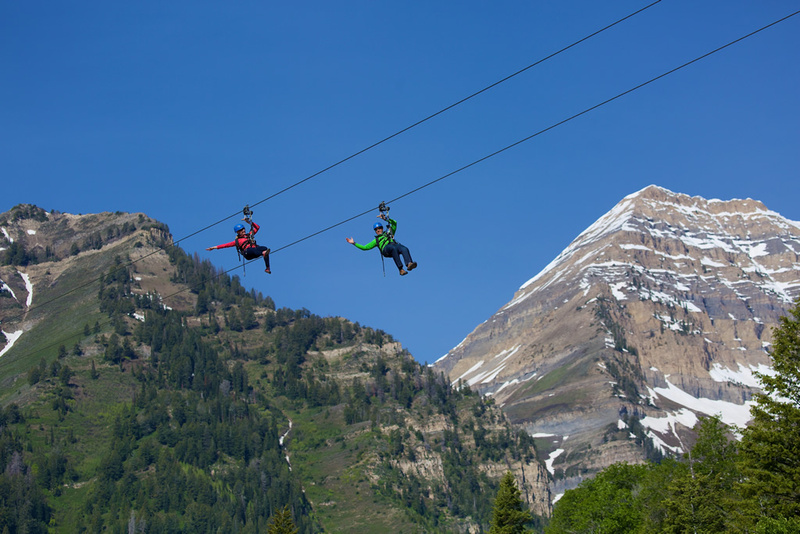 We gathered at the top of the final span of the Sundance ZipTour – the Outlaw span. 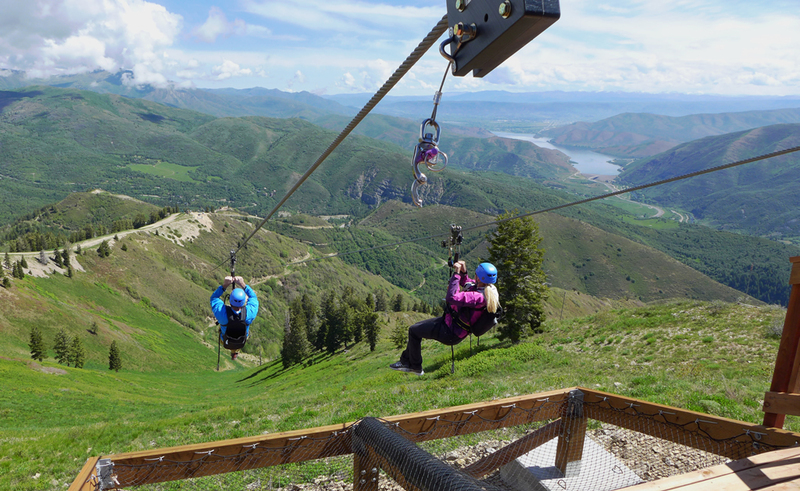 This zip line is almost 4,000 ft. long, and is in the top of longest zip line spans in the country. This time we decided to let it rip. We were racing together so fast, with the wind blowing the tears right out of our eyes! 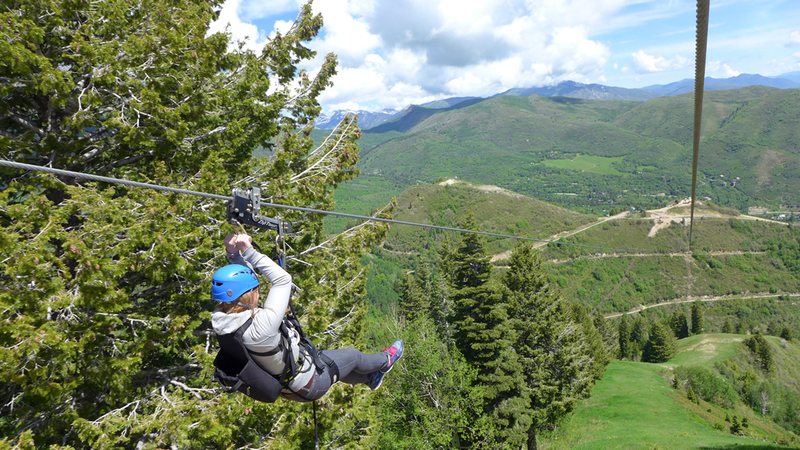 As we flew through the trees before the parking lot, we began to slow down. As we zipped over the parking lot, visitors below were shouting up to us and waving. “You have to do this!” we shouted back. We slowed down to a gentle stop at the landing deck and just looked at each other with bewilderment and grins ear to ear. Can you believe what we just did??!! 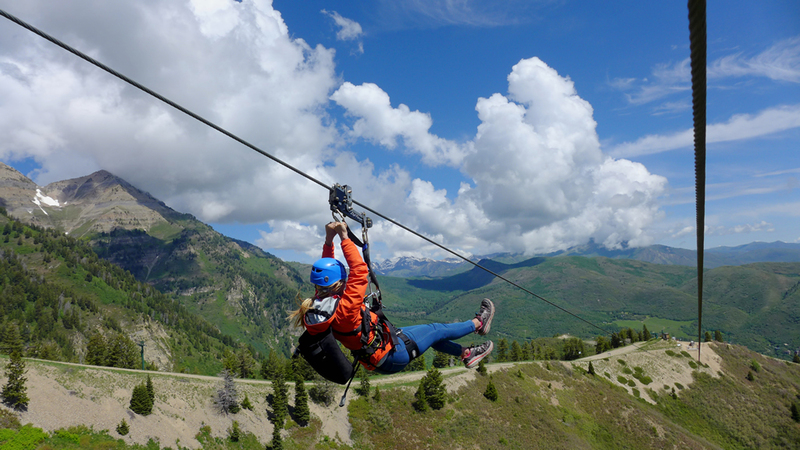 To be able to adventure with my family and friends like this, soaring above the mountainous terrain of the Sundance Resort, well, it was an experience that I will not forget. I was reliving the adventure and comradery of that day in my head as I fell asleep that night. I can’t wait to go back.